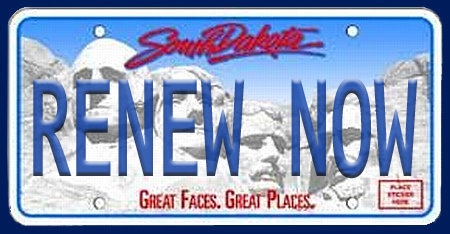 Renew your Vehicles, obtain a Seller's Permit, or do a Report of Sale On-Line. Support: The system currently supports Microsoft Internet Explorer (version 6.0 or higher). Adobe Reader is required to view and print permits and receipts. To print permit and receipt, please be sure to "Turn Off Pop-up Blockers" using the Tools option in the menu bar. Address changes: If a change of address is required, the registration must be renewed at your local county treasurer's office. To receive your vehicle registrations your address must match the renewal notice. Please contact your county treasurer for any questions regarding your license renewal, sellers permit, or report of sale. Delivery of Registrations: Please allow up to 10 business days for delivery of your vehicle registrations. The DMV and the county treasurer’s office are not responsible for any delay due to US postal service mail delivery. If you do not receive your registrations within 10 days, please contact your county treasurer. Vehicles:Only vehicles listed on the renewal notice can be renewed. Some boats and snowmobiles may not be eligible to be renewed online at this time. •	Online renewal is available from 90 days prior to your registration expiration date and up to 30 days after the expiration date. If applying later than 10 days before the expiration date, you may not receive the new registration before your plates expire. If you apply after your plates are expired, allow up to 10 days for receipt of the decals. Note: Driving your vehicle with expired registration subjects you to law enforcement action. No refunds will be issued for vehicles registered on-line. Payment Information - Electronic check (using your checking or savings account), or credit/debit cards (only MasterCard, Discover or Visa) are acceptable forms of payment. To print the receipt, please be sure to "Turn Off Pop-up Blockers" using the Tools option in the menu bar. A seller’s permit can be obtained by a private seller at anytime before the sale of the vehicle. The permit will allow a buyer to drive during the interval between purchase and registration for a period of 30 days or upon registration, whichever comes first. The permit is valid for no longer than 30 days from the date of sale and is issued free of charge. Only one permit per vehicle is allowed to be done on-line, additional permits must be obtained from your county treasurer’s office. On-line reprint is available on the day of issue. Only 10 permits are allowed per on-line visit. Once the vehicle is sold you must file a Report of Sale. 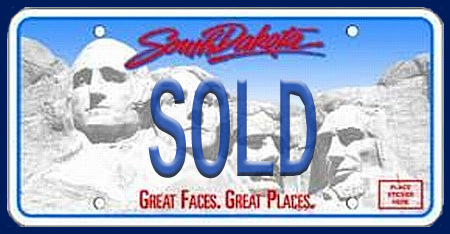 This can be done online by clicking the "Sold" plate. To print the permit and receipt, please be sure to "Turn Off Pop-up Blockers" using the Tools option in the menu bar. 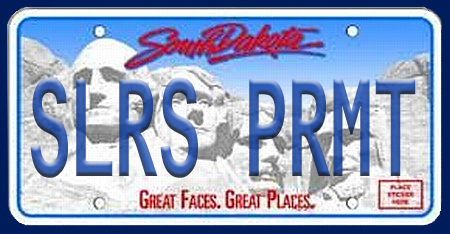 Click the plate for a list of county office locations. 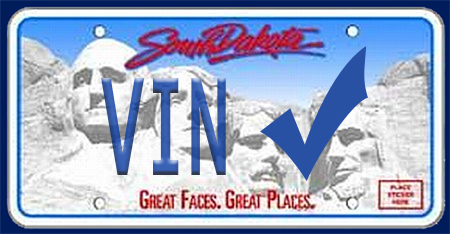 As of October 1, 2012, South Dakota is an Electronic Lien & Title state. A vehicle record denoting a lien will no longer be a paper document. A search can be done to obtain title (which includes title status), vehicle (which includes year, make, brand at time of title issue, etc…) and lienholder information. Title statuses are Dealer Pending, County Pending, State Pending and Complete. A “pending” status means the record has not been issued. Participating lenders receive lien verification electronically through a third party provider. Lenders that choose not to participate will utilize this search for lien verification. Search can only be done by the vehicle’s identification number (VIN or serial number). Most valid serial numbers do not contain alpha characters of I and O. 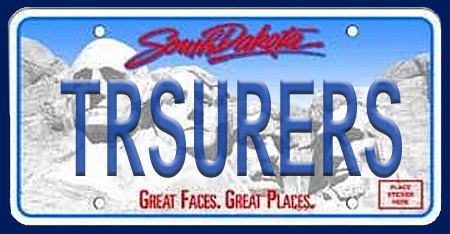 In South Dakota, when a vehicle is sold or transferred the sale must be reported. A report of sale (ROS) must be completed by the seller and serves only as notification of a sale. It does not generate any action against the title or registration record, but may protect the seller from liability that may result from moving or operating a vehicle after the date of sale. The vehicle will no longer appear on the seller’s record once the new owner has transferred the title, or when the Division of Motor Vehicles receives notification that the vehicle has been titled out of state. A ROS between private parties is mandatory and must be filed within 15 days of the date of sale. When a vehicle is traded into a dealer, the dealer is responsible for filing the ROS. - By clicking on the "Remind Me" and providing your contact information, you may choose to receive your renewal notice as an eNotice, or you may opt to receive no renewal notice. Sign up to receive automated renewal notice. 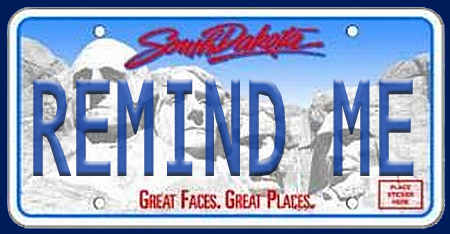 You must have an ID card or driver license issued by the SD Office of Driver Licensing. If you do not have an ID card or driver license issued by SD Office of Driver Licensing, you may contact your county treasurer's office to opt for an automated renewal notice or to receive no renewal notice. You must use your Federal ID Number and Access code. *If you are uncertain as to whose name is first on your titles, update the renewal delivery method on each owner to ensure your choice of renewal method is implemented. 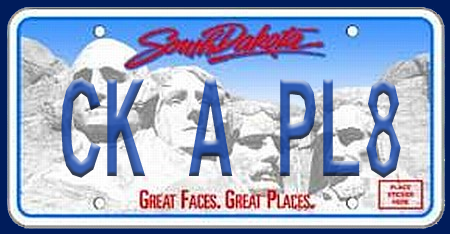 Use our search feature to see if the personalized license plate you desire is in use! Each plate must contain at least one character (letters or numbers). Plates for cars, trucks, or motor homes may use up to seven characters and motorcycles may use up to six characters. A space between characters counts as one character. Characters (letters or numbers only) must be in an upright position. No special characters (such as #, &, @, etc.) may be used. Disclaimer: Your plate request may be denied if: it does not meet standards of decency and good taste; if an in-process application for the same plate has already been filed; or if this request duplicates any plate in our current plate series.